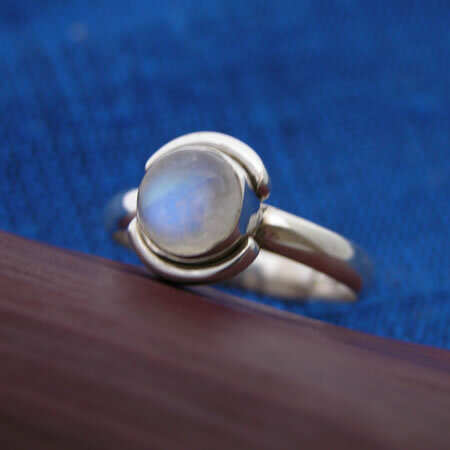 Simple stone ring with single stone. Great for impulse purchases at the register. Teens love these for the look and the price. Wholesale silver jewelry. Made in India. Order by size, ships in assorted stones like moonstone, amethyst, garnet, etc. Order the number of pieces you want. Wholesale silver ring assortment with lightweight setting and natural semiprecious stone.